As the nation marks the 100th anniversary of the end of the First World War, Cardiff and Vale University Health Board has been accredited as ‘Veteran Aware’. The Health Board is one of 24 NHS bodies across the UK that have received accreditation from the Veterans Covenant Hospital Alliance. The Alliance is made up of national bodies, including NHS Improvement, NHS England, the Department of Health and Social Care, the Ministry of Defence, and the Confederation of Service Charities. Patients and visitors to the Health Board can expect to see posters that its services are ‘Veteran Aware’, such as in their clinics and public waiting areas, encouraging them to notify staff that they have served in the armed forces. This is to ensure that the armed forces community is never disadvantaged compared to other patients. 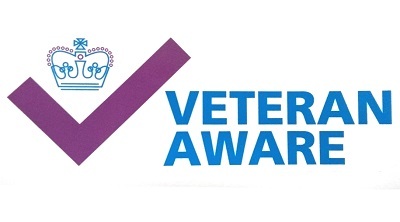 Dr Fiona Jenkins, Executive Director for Therapies and Health Science and Armed Forces Executive Lead at Cardiff and Vale UHB said: “We feel very proud to have received an accreditation for our work with Armed Forces Veterans. “We firmly believe in putting our patients at the centre of everything we do – our fast track service for those who have served in the Armed Forces will ensure that patients are treated quickly and effectively by staff who understand the specific needs that Veterans have. Professor Tim Briggs, National Director for Clinical Quality and Efficiency at NHS Improvement and Co-Chair of the Veterans Covenant Hospitals Alliance, said: “I applaud Cardiff and Vale UHB for becoming one of the first in the country to be accredited as ‘Veteran Aware’.